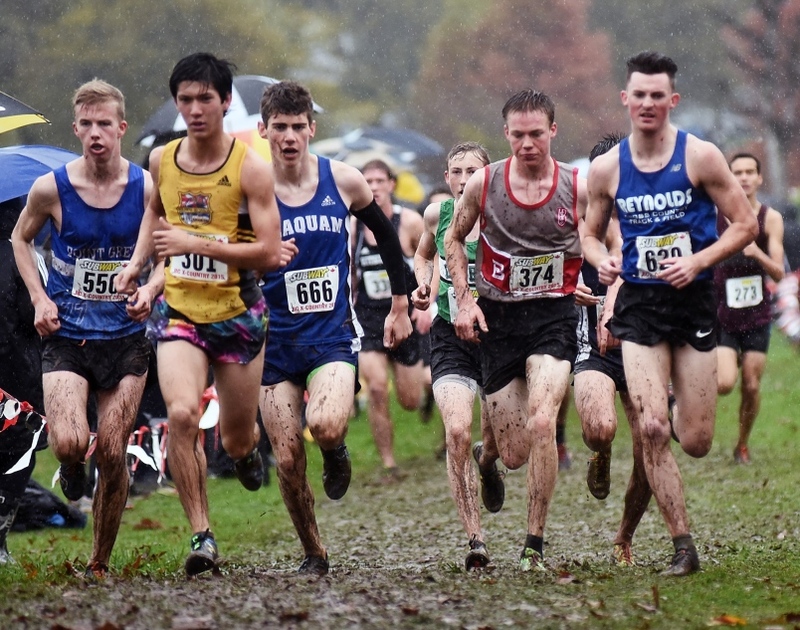 Nearly 1000 student-athletes from all corners of the province converged at Vancouver’s Jericho Beach to contest the 2017 BC High School Cross Country Championships. With temperatures hovering near zero and wet snow falling, athletes in Grades nine to 12 competed in five races at the cross-country meet. The day started with three competitors in the Para event. The snow was just beginning to fall as the gun went on this one-lap, 2.3-kilometre run that was won by Brandon Vanderluit of Lord Byng in the time of 10:39. At 10:00 am, 249 junior girls went off at the sound of the gun for their two-lap event. With the Vancouver skyline and North Shore Mountains disappearing behind clouds, Anna Maslechko of nearby West Point Grey Academy broke the finish line tape in the time of 18:00. She had a strong battle for most of the race, but broke away late from Anna Bonikowsky who attends South Delta Secondary. Two seconds separated the competitors. Third place went to Kate Stewart-Barnett from St. Thomas More Collegiate; she finished in 18:08. “And what a beautiful site it is to see this large group of young women run off for their 4.6K race this morning,” announced Olympian Lynn Kanuka over the P.A. system, as the race went off. Nanaimo District Secondary won the team category, while Lord Byng and West Point Grey Academy, both of Vancouver, placed second and third. In the junior boy’s race, Matti Erickson of LV Rogers in Nelson finished first in a battle with Keaton Heisterman of Brentwood College on Vancouver Island. Erickson finished in the time of 17:26, while Heisterman crossed the line in 17:35. They exchanged leads and kept the pace fast most of the race. 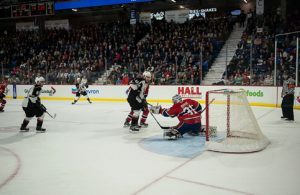 The third-place finisher was Judah Moar of nearby Point Grey Secondary. The top-three teams were Kitsilano High School, John Barsby Secondary and Walnut Grove, all lower mainland teams. In the senior girl’s race, Oak Bay High School’s Justine Stecko took command after one lap of their two-lap race and won handily over New Westminster Secondary student, Grace Fetherstonhaugh. To begin their second lap, Stecko began to push the pace. She increased her lead during her second pass of the back section, which is wooded and hilly. Stecko emerged well ahead and ran alone for the final 200 m straightaway to the cheers of hundreds of spectators. They bested 241 other competitors as the snowfall was beginning to increase. 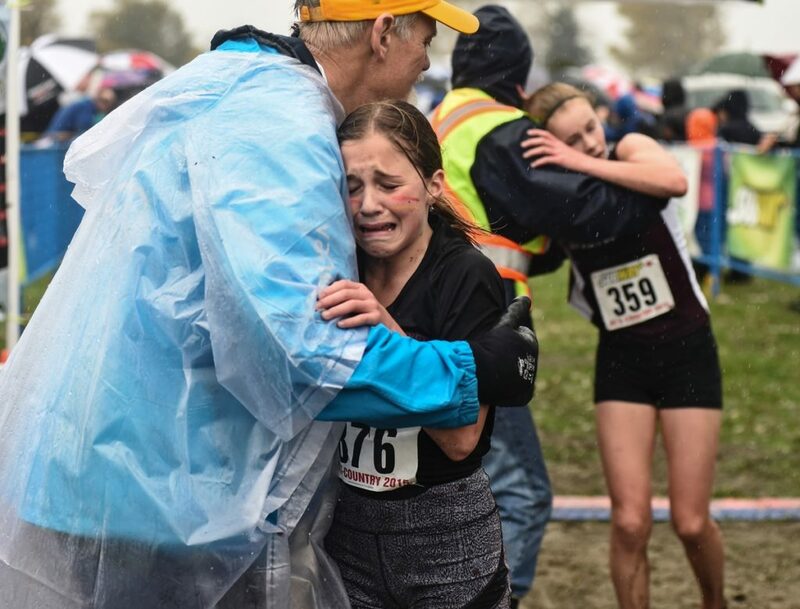 Stecko crossed the line composed and crowned the BC High School Cross Country Champion, relieved that her fitness was intact. Ceili McCabe of Little Flower Academy – an independent school located in Vancouver – finished third. Stecko, Fetherstonhaugh and McCabe finished in 17:01, 17:23 and 17:25 respectively. Two weeks prior, Stecko appeared to jog her zone final in Victoria’s Beaver Lake Park. 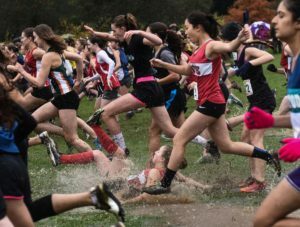 Oct. 28, she jumped into the senior race in Abbotsford Clearbrook Park against Olympians and top-level varsity and professional athletes at the provincial club championships. She finished first junior, but well back of the top-ranked pros and the BC High School championships win was well-earned. Oak Bay High School also won the senior girls team race. Sentinel and Revelstoke high schools finished second and third respectively. In the senior boy’s race, which was the only event to run three times over the 2.3K lap course, the Wyatt brothers Zach and Tate of R. E. Mountain of Langley dictated the pace throughout the competition. They went 1-2, but were chased hard by a surprised Aidan Doherty of West Vancouver Secondary with only three seconds separating the athletes, finishing in 23:18, 23:19 and 23:20 respectively. Zach raised his arms in the air when he broke the tape having bested 232 others, leading their team to a second-place finish. The winning team was Victoria’s Oak Bay High School and were led by Findlay Day, the Island zone champion as he crossed the line in the time of 24:01 and seventh overall. 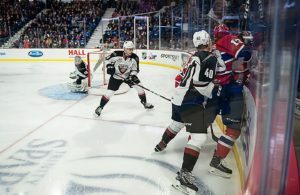 “I am pretty happy with the result,” shared Tate, who stayed in the lead for the duration, which may have been a bit of a sacrifice for his twin brother. Reynolds Senior Secondary, also of Victoria, finished third in the team standings.